A piece of movie history needs some help to come back to life. 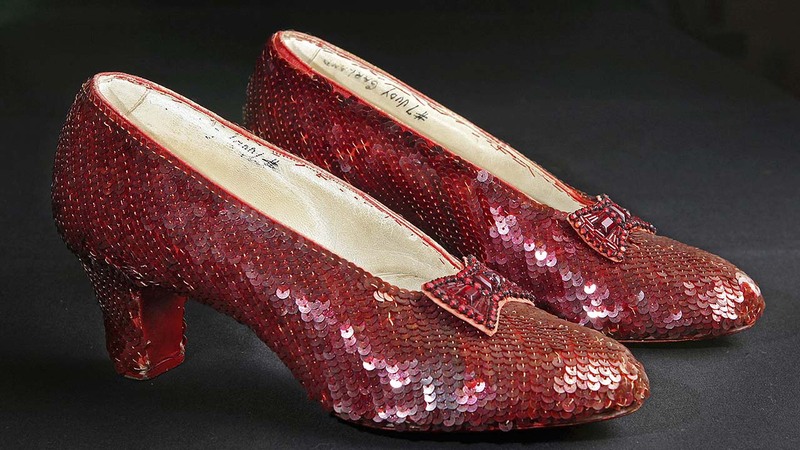 The Smithsonian has launched a Kickstarter campaign to raise $300,000 to repair the ruby slippers from "The Wizard of Oz". The sequined shoes were made almost 80 years ago. The #KeepThemRuby campaign offers donor rewards ranging from T-shirts to behind-the-scenes tours.